Within the past month or so I started noticing high data usage for seemingly no reason at a rate close to twice to three times that of 'normal' (Read: There's absolutely no reason for simple texts to use tens of MBs of data). The only common link was that it appeared to be coming from the iPhones that both my wife and I use. These are usually updated promptly whenever apps and new iOS software is released. 1. From Settings go to Wi-Fi. 2. Get the info of any currently used or other network listed by touching the blue i in a circle. 3. Jot down the settings for this network connection - you may need it again later in step 10. 4. Kill the network by touching 'Forget this Network'. 5. Repeat steps 2 thru 4 for any 2.4GHz or 5GHz wifi settings you might be using with the HughesNet modem. 6. 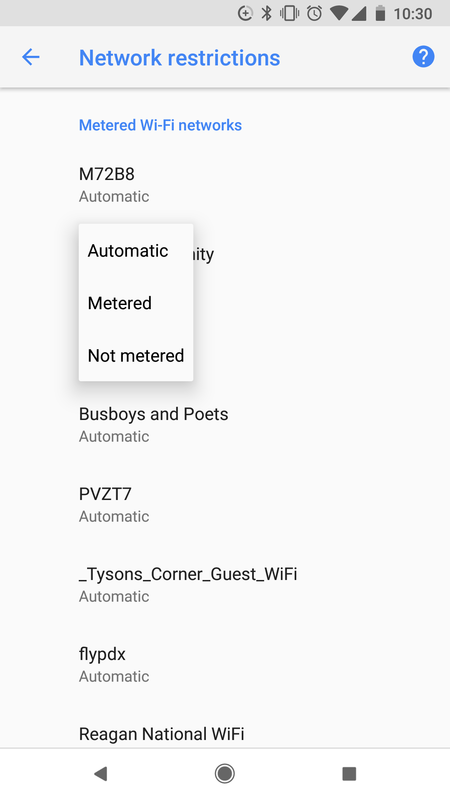 When done killing the network connections, go back to the main Settings, and toggle Wi-Fi Off. 7. Hold down the power button until you see "Slide to Power Off", and slide it. 8. Wait about a minute for the phone to power down, then hold the power button down until the phone reboots. 9. Once the phone is rebooted (you may have to entered your 8-digit passcode first), go back to Settings -> Wi-Fi. 10. Re-enter the networks you took note of in step 3. Hopefully after going through all this you too will see data usage return to a more reasonable rate. Fantastic work, Mark. Thank you for sharing and giving us steps on how to resolve this! I'm going to edit your thread title and sticky it for now. HI Mark, thank you for this information! Does this apply to only i-phones, I have a Samsung Galaxy, would this apply to it or any Android phone in general? How would I go about implementing this information? This really only applies only to iPhones. I have no idea how you would do it with other phones since I don't own them, nor if it is even an issue with them. That said, perhaps others with 'droid phones could provide a procedure. WOW!!! You replied to me so quickly! Thank you and I'll have to see what I can find out, if anything, about leakage with Android phones! Thanks again! I've never had a problem with leakage on my Android devices. Most important thing to do is on each device go to Playstore settings and choose not to automatically download updates. I have my Data Saver on to restrict my apps from using data in the background, but you can make exceptions for individual apps to get unrestricted data usage while that feature is on. At the very bottom of the Data Usage settings page is the Wi-Fi settings section, which you should have a look at since you don't want your phone to use too much data on your wifi network. 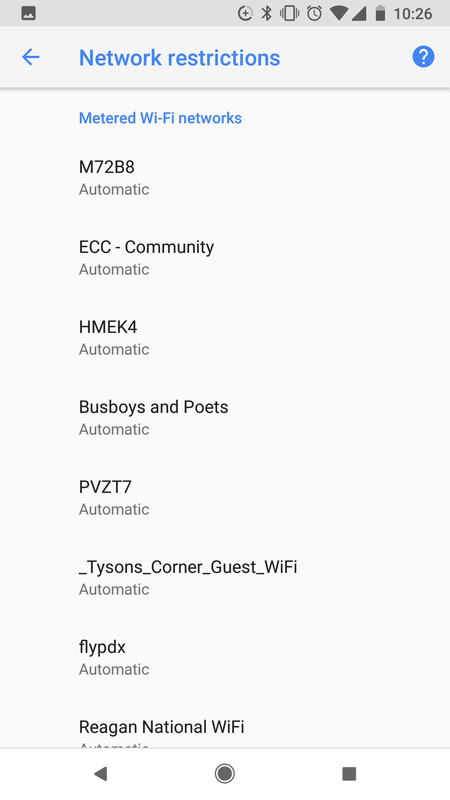 You'll see a list of saved wifi networks. You'll want to tap on your your home network and select Metered to save data. It looks like the phone will use data appropriately automatically, but to be on the safe side, I'd manually pick Metered. Holy cow! I have been going crazy the last few months trying to figure out where all my data is going? Hughes folks couldn't tell me anything. I had an iPhone6 and a iMac G4 and I was going through data like water. I useed my 50 GB usually in less than 9-10 days! I had started out with a 20 GB plan, but now that I am at 50 GB, there's nowhere else to go but slow! Very frustrating to say the least! In the last 2 months I have acquired a new phone (iPhoneX) and last weekend a new iMac Pro. My data reloads on the day my bill comes in and goes out (it goes by me with a whooshing noise!) which is the 14th of the month. By the morning of the 16th I had used up my 50 GB and the 50 GB bonus data! 100 GB in just over 24 hours? This is crazy - I don't watch movies or TV and I watch YouTube once in a blue moon, most of my browsing is done on my phone while I am out and about (I have a 5GB plan on my phone and I barely use 1 GB each month), I don't do any games, a normal amount of e-mail, but I do all of my shopping online. The majority of my work is offline. I have DIrecTV but I only watch a few hours a week, if that, and only the free channels like BBC America, Animal Planet, Discovery, etc. and no premium channels. And I now have this new, blazing fast computer that is basically serving as a bookend for the next three and a half weeks! NOw that's frustrating! Now here is where I was told my data is going... On DirecTV they have the app for Pandora, which I use, as well as the app on my iPnone and my computer. I also subscribe to Apple Music, and I have had that for 4-5 years and never an issue The majority of my music with Apple Music is already downloaded both on my phone and on my computer, and I keep trying to download my music on Pandora but it doesn't seem to work. If I am going to do a large music download, I usually use someone else's Wi-Fi, such as the grocery store. Once I finish my shopping, my downloads are done! So is my addiction to music the cause or partially the cause for my severe and unreasonable data usage? I am only one peron and I am requiring the data for a whole corporation! I had to stop buying tokens as it was getting too costly - I barely would buy them and before I finished that, I could hear them whooshing by me also! I cannot seem to be able to hang onto my data! Any suggestions would be greatlyu apprediated!